6 YRS Wenling Keying Abrasives And Grinding Tools Co., Ltd. These series of products chose to use different abrasive grain sizes in aim to reach spefic characteristics in different usages. The products of our company sell well in all parts of the country, export to such areas as Japan, America and Europe, etc. 5. our abrasive tools have been imported to Europe, Japan and America, known for quality. 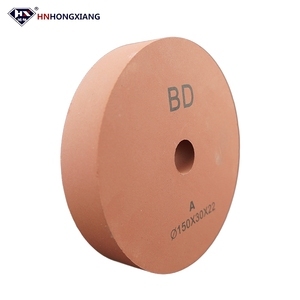 1 YRS Shanghai Huichi International Trading Co., Ltd.
10 YRS Linyi Dapeng Hardware & Abrasives Co., Ltd.
grinding wheel,Centerless Grinding Wheel are stable hardness,even structure and excellent balance performance. Supplier Assessment Reports are detailed on-line reports about the supplier's capabilities. It helps you get all the information you need to trade confidently with suppliers. 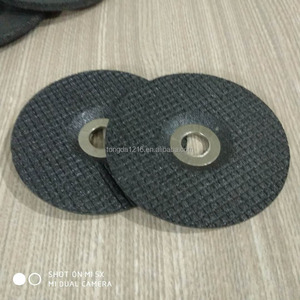 3 YRS Foshan Xinruiyan Abrasive Import & Export Co., Ltd.
rubber grinding 4"/ Murat diamond wheel 4"
3. Good Service: We treat our clients as God with high professionalism and passion. , LTD is one of the most professional manufacturers in diamond tools business for more than 10 years. If the market in your area is complete new, a small trial order for testing will be necessary. 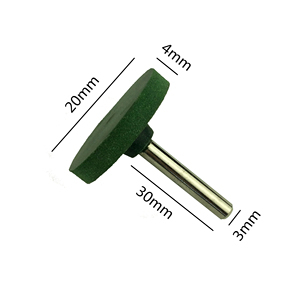 1A1 electroplated cbn wheels for woodturning tools 1A1 electroplated cbn wheels for woodturning tools is made of Steel / Aluminum and CBN Brasives. Selected cbn abrasives and Solid steel rods and aluminum rods are applied in our products. Strict tolerances of the bore makes our wheel always suit your shaft perfectly and not vibrate on your ginder. 1 YRS Yiwu Noemon Hardware Tools Co., Ltd.
2.We also supply diamond saw blade cutting disc,TCT saw blade,wire cup brush etc. 5.Products have been exported to Asia, Mid-east,European and Germany market. 7.If you have the honor to do business with our we will definitely do our very best to support your business in China. Q :Are sample available for quality test9 A :Yes,pls let us know the product request. Q :If there any guarantee of client&rsquo;s order9 A :We offer trade assurance service,you can check your order online at any time. Q :Can client visit our factory9 A :Our factory is about one hour drive from Guangzhou Baiyun Airport. 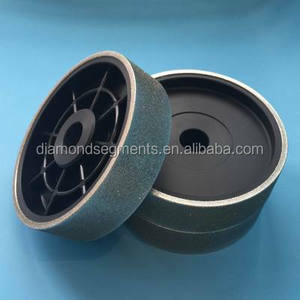 Laser welded & silver brazed diamond blades are designed for professional users who require heavy duty and regular cutting of a wide range of hard and abrasive materials, such as building materials, asphalts, marble, granite, stones and so on. Silver Brazed Diamond Blades Silver brazed diamond blades are also known as high frequency welded diamond blades. Diamond segments of silver brazed diamond blades are replaceable, so they are more economical than the laser welded blades. 5. Easy to use, greatly save manual labor, and save production cost. 4. Flexibility: Small orders are acceptable for quick delivery and to help you reduce stock cost. 5. OEM service: Custom fabrication according to your drawings ,samples or designs. 5. 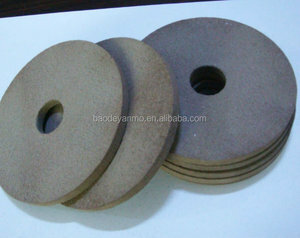 2 sheets of fiberglass for durability and safety, it can grind 20 times more than normal products. 6. 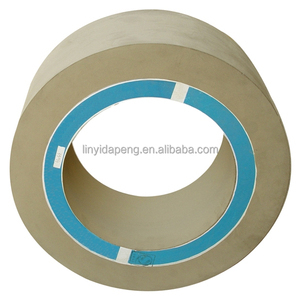 Made by abrasive and special resin, has high tensile, shock and bending strength. 9. Near to raw materials region,low labor costs,so lower production cost,competitive price. 7 YRS Hebei Double Goats Grinding Wheel Manufacturing Co., Ltd.
Alibaba.com offers 2,181 rubber grinding wheel products. About 43% of these are abrasive tools, 3% are material handling equipment parts, and 1% are machining. 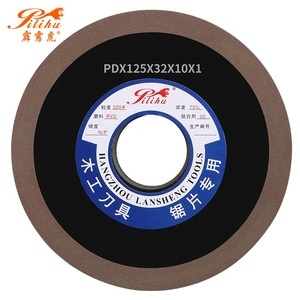 A wide variety of rubber grinding wheel options are available to you, such as free samples, paid samples. 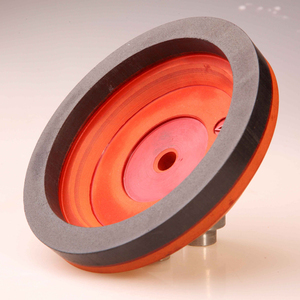 There are 2,181 rubber grinding wheel suppliers, mainly located in Asia. 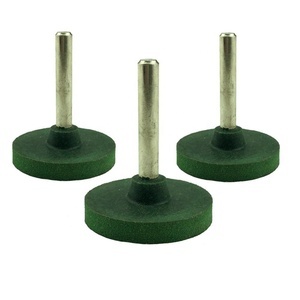 The top supplying country is China (Mainland), which supply 100% of rubber grinding wheel respectively. 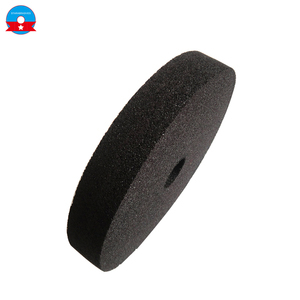 Rubber grinding wheel products are most popular in Domestic Market, Southeast Asia, and Eastern Europe. You can ensure product safety by selecting from certified suppliers, including 294 with ISO9001, 123 with Other, and 19 with ISO14001 certification.